This review is for the Lucid Premium Hypoallergenic 100% Waterproof Mattress Protector.Okay so I'm not like one of those guys who worries about wetting the bed. But I do like to drink my milk and eat my Chips Ahoy while I watch Arrested Development on my bed. Sometimes I forgot that I'm drinking a glass of milk and it ends up all over my bed instead of in my mouth where I wanted it.This review is for the Lucid Premium Hypoallergenic 100% Waterproof Mattress Protector.Okay so I'm not like one of those guys who worries about wetting the bed. But I do like to drink my milk and eat my Chips Ahoy while I watch Arrested Development on my bed. Sometimes I forgot that I'm drinking a glass of milk and it ends up all over my bed instead of in my mouth where I wanted it.So I got this mattress protector so that I could enjoy my cookies and milk in peace.It deserves 5 stars. Here's why:1. It's high quality material that repels liquids from soaking through. Seriously, I tried spilling a glass of water on it and all of the water just sat there on top. See my picture.2. It's comfortable, I don't even notice that it's there.3. It's big enough to fit easily on my queen sized bed with no wrinkles or clumpy spots. Home territory searches the web to find the best prices and availability on Mattress Protectors and related products foir your home like Lucid Premium Waterproof Mattress Protector. For this page, related items include products we find that match the following keywords: "Mattress Protector" at our vendor partner Walmart - Click More Info / Buy Now to check for price rollbacks!. 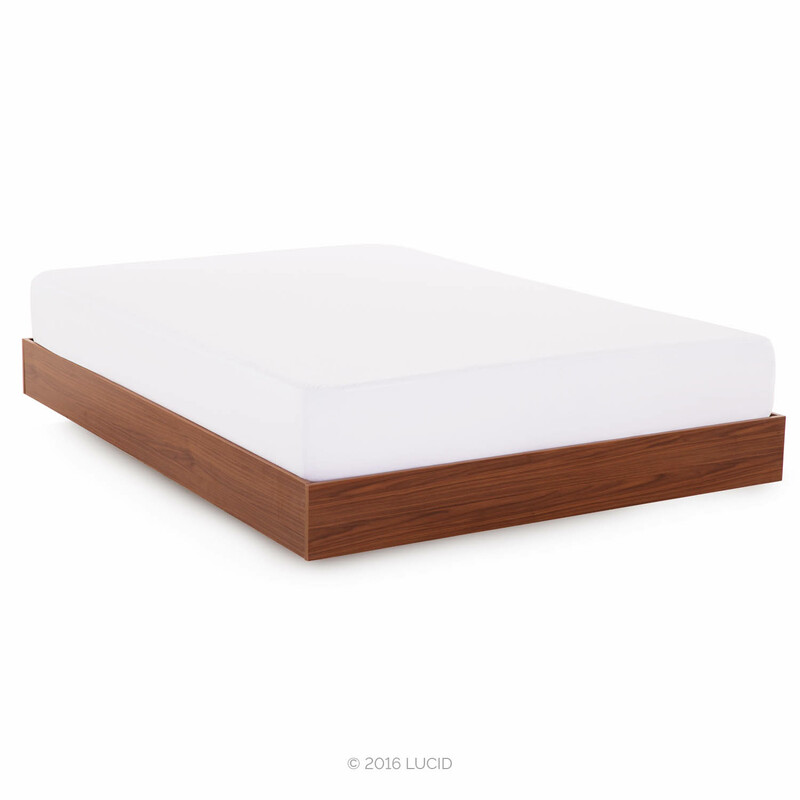 Lucid Premium Waterproof Mattress Protector is one of 83 Mattress Protectors and related products available for sale through HomeTerritory.com, If you have any questions on this product, please give us a call at 734-971-1210 during the hours of 9am - 5pm EST for assistance. Thank you for shopping at Home Territory, the home furnishings superstore!